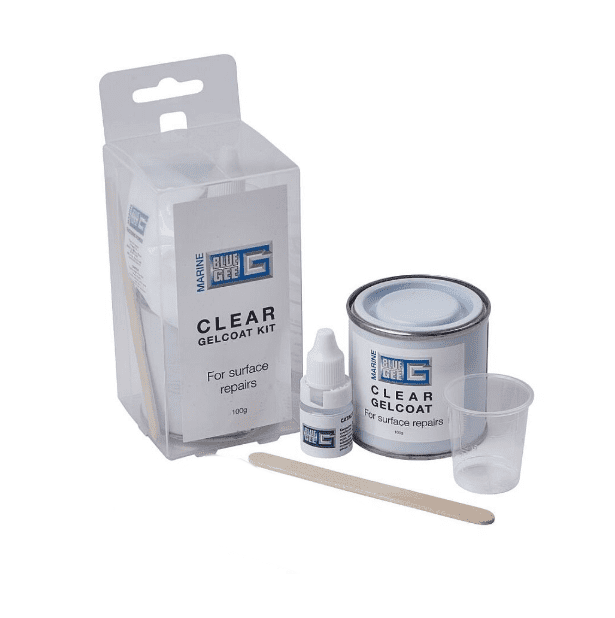 Blue Gee Gelcoat Repair Kit. Handy repair pack with everything you need. Pack includes 100g gelcoat (prewaxed), catalyst, thickening powder and mixing pot. The white repair packs can be used with the Blue Gee pigments to create your custom gelcoat resin colour.